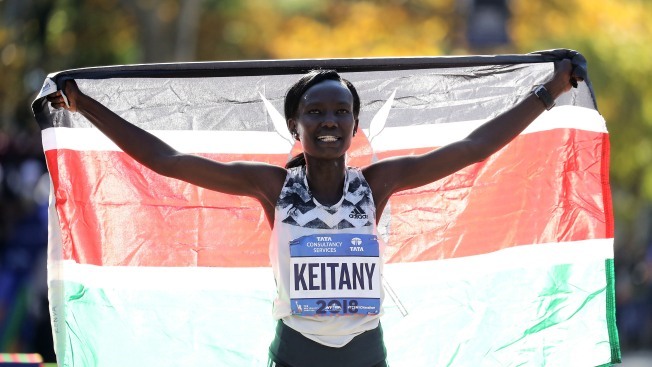 Mary Keitany of Kenya celebrates her win at the finish line after she won the Women's Division of the 2018 TCS New York City Marathon on Nov. 4, 2018, in Central Park in New York City. By the time Mary Keitany was pacing her way up Manhattan's First Avenue, she had no reason to look back for challengers. The Kenyan's lead was growing over the strong women's field with every stride, and all she thought about was the finish line.